If your partner is an Aries, he is in love with the chase. Aries people love a challenge, and need partners who will provide that challenge. Highly passionate but also very jealous, it’s not a ride for the faint hearted. Aries could be your soulmate if you’re looking for drama and if you can tolerate selfishness. Aries, as is well-known, is not the Tom-Jones-slick-satin-bathrobe-wearing-lounge-lizard of the world’s lovers. Instead, whether man or woman, Aries is a contradiction of competing energies, which can lead to great passions and enduring relationships, or it can stagnate and leave you home, making candy apples with your mom. In many ways it is the visceral or physical way that Aries tend to enjoy the world that creates the serious deficits (or excesses) in your production of pimp juice. Arians approach love like they approach most things in their fiery lives, with passion and intensity, but since this strength of conviction and certainty of action is usual realized by doing as opposed to thinking, the more subtle parts of the your life can be underdeveloped. This intensity is most readily seen in the initial stages of a relationship with an Arian. Since they are always ready to start a new adventure they are often some of the most romantic people on earth, as they jump head first into the fresh newness of an early romance. Watch out for big bouquets of flowers, and fancy bottles of wine served with delicious meals, and then a drive along the water, these are the trappings of an Aries fantasy at work. This can be a real blessing or it can also be the superficial heat of a jet’s after burner; the heat may be intense but it also may be short-lived. Caution to potential partners of Aries: Don’t let your own potentially playful attitude towards competition blur the fact that your Fiery lover is not one to take a challenge lightly and will constantly accept any gauntlet thrown at his/her feet. In fact the blind competitive nature of the Aries can mean a narcissistic streak that can prevent Aries from knowing when they are hurting people. Another aspect of the Aries’ approach to relationships is their inherent desire for adventure. So when they catch their prey (you) they sometimes have no idea what to do with you. Like a cat who knows he is supposed to catch a mouse, but since he has never been shown how to eat one, the Aries can be confused by some of the more mundane parts of the day-to-day relationship struggles. This is where the competitive struggle can come in handy. The Aries is likely to sense that some hard work can make this work smoothly, and will dig in and rise to the challenge. For the Aries out there embrace your fire, and good things will come, deny it and only the negative aspects of your sign will be allowed to rise to the surface. Many women Aries find themselves living in a world that does not allow, or at least does not respect the qualities that define their sign. Joan of Arc was an Aries and look what the men of the church did to her. Love yourself and embrace the things that make you independent and important. For those of you stuck with a love-on for an Aries or even just a crush, don’t play games, they will go over his/her head. If you want something, ask, they’ll appreciate it, and you will get what you want in the end. This is an action plus union. As you have a lot of common interests there are plenty of activities you can do together. With so much enthusiasm for life itself, it is not likely you will ever be bored with each other’s company. The energy between the two rams is electric and passionate. This is a relationship that assures never a dull moment, and with you both having soaring ambitions and a zest for life it promises to be a fun filled partnership just trying to keep up with each other’s lives. It is an independent relationship that has an emotional connection. There is a great deal of trust and respect with an open honesty that can survive the most difficult of situations. There is enough trust to give the other person the freedom to be themselves and follow their goals and a passion that brings them back together like a magnet. However, with so much going on in their individual lives, they will need understanding and patience to step aside now and again and let the other person shine. Arians love a challenge; so make sure you don’t go for the same job! Different interests will keep life full, and help to eliminate competitiveness. For instance, playing tennis together would be exhilarating, but a friendly social game can turn into a win or die sports event. Sensual and romantic togetherness. That’s what you can look forward to with this connection. Aries are a passionate sign, while Taurus love is sensual and they have mastered the art of love-making to the highest degree. 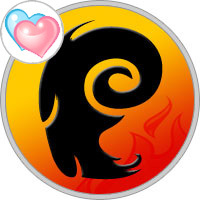 Aries can get caught up in the magical moment of passion and quickly lose interest, but with the combined energies of Aries and Taurus, when they connect they can keep each other’s interest. With Aries in a passion explosion and Taurus weaving their sensuality, they can escape the realities of the world. Eventually though, they will need to reenter the real world and when this happens the frustrations of building a happily ever after set in. There can also be a balancing of strong characteristics between the two signs if the pair is willing to work hard enough to recognize the possibility. It’s possible for an appreciation of differences to occur where one partner can admire for example, the energy of the Aries or practical ways of the Taurus. Due to Taurus’ way of completing what it begins a possibility exists for the Taurus partner to assist the Aries partner in learning how to do the same. There are some real challenges with this love combination. Of course, nothing is impossible, but in the process of getting to know and understand each other’s vast differences and the way the both operate there will very likely be some heartache to endure and some difficult compromises to come to terms with. Captivating conversation keeps the Aries + Gemini interest alive. There is never a shortage of conversation between this love match. However, Aries can easily switch off when Gemini goes into idle chat over-drive and although Gemini is happy to do this for a while, before too long they will realize they do not have Aries attention and feel somewhat cheated. Aries and Gemini both lose interest quickly if there is not enough challenge for Aries and variety for Gemini. When it concerns living life and the desire to experience life on many different levels, these two are well suited. They both live for the excitement of something new, Gemini loves to stretch their mind with new areas of knowledge and Aries longs to get out there and physically experience all life can throw at them. Aries ‘thrill of the chase’ instinct may be activated as they attempt to keep up with the Gemini’s constant change in direction, activity or topic of conversation. They are both impulsive and spontaneous about life and open to new ways of living, loving and learning both in and outside of the bedroom. Go getter warrior Aries is full of passion, and if this level of lust-for-life is not matched by Gemini then this association could die of ‘love without purpose’. Aries are physical beings and Gemini live in their minds. A Gemini could start to view their Aries partner as shallow and lacking the mental prowess to entertain their energetic mind. The Aries + Cancer mind, body and soul connection is strong and for each of these signs that’s an important element for love’s survival. As cardinal signs they are both purpose driven and are quick to set and initiate their goals. There is a common ground here with business and lifestyle as both signs like to achieve their life goals and have strong values and desire to live comfortably if not luxuriously. They connect on a passionate level and if their life values are in line they have a strong drive to work towards becoming a family unit. They both have a high sense of responsibility about life in general and are accountable for their actions and decisions. They are family oriented and work well in this area and although they may very well be in tune with family values often their way of setting boundaries in the home environment can be different. There is a need for them to learn the art of give and take. A Cancer partner can also keep an Aries interest with their imagination and ability to surprise their partner. Both signs have a good sense of self. They put themselves first, which can cause problems if there is not enough sensitivity shown by Aries to recognize when Cancer needs nurturing. Aries can be brash and Cancer is easily hurt. Cancer thinks Aries is insensitive and Aries thinks Cancer is thin-skinned and over emotional. This is a passionate connection! In the bedroom, there is love, lust and romance all of which keeps the union connected on a psychical and spiritual level. Aries and Leo have a mutual respect and admiration for each other, which over time, translates to trust with both parties feeling they can depend on the other. As such they are more open to accommodating each other’s differences and recognize the blessings rather than the compromise inevitable in any relationship. They are both proud signs with commanding personalities and will assist each other to walk the path of success. These two live life in the fast lane and have similar call to action responses. When a job needs to get done, they understand and make allowances for each other when plans are changed to accommodate their responsibilities. They move at the same fast pace and are their energies are in step. Once they sort out who is responsible for what in their lives, the areas of life that they complement each other they can co-exist magnificently. There is a level of understanding between these two signs that passes between them as knowingness. It’s like a secret code between them that nobody else understands. They are both free spirits who strive to make a difference in the world and as long as they continue to work as a team unit all is good with this star-connection. They say opposites attract and sometimes they do. In fact, if two people can appreciate what the other party brings to a relationship, which is invariably the qualities they lack themselves, then opposites can work like ying and yang both providing a balance to make up the whole. In this case, with the Aries + Virgo connection, both of these signs have their own totally different ways of operation. Aries are rash, direct, say what they think and act on impulse. They get straight to the point. Virgo prefers to delve deeper into the why’s and why-not’s of life. They rarely act impulsively and are collectors of knowledge on an in-depth level. They have no respect for Aries way of taking a gamble and reckless way of imparting their opinions. Aries on the other hand, although for an instant can find Virgo’s mind fascinating, they quickly tire of the Virgo moralistic view on life and are likely to tell them to ‘get over themselves’. Often, this is where the Aries + Virgo connection starts and finishes, unless of course their personal charts align in other areas. These two are first to hold out a hand to help others, but when it comes to assisting each other, there’s trouble. The Arian impulsiveness unnerves Virgo and can send them off-balance. Aries mistakes Virgo’s caring for sympathy, rather than a humane kindness, which can enrage Aries who can be quick to anger, but in defense also quick to forget. As signs that sit opposite one another on the zodiac wheel, Aries is assertive and Libra is Passive so the energy levels of these two signs are different, which can drive each other crazy. However on the plus side, as we know opposites do attract, the Libra charm can be potent enough to melt the Aries fiery and sometimes abrasive nature. Libra can teach the bold and rash Ram to adopt a softer approach, while Aries can teach Libra to step out of their comfort zone now and again and be brave enough to take a chance on life. They both like to win, but for different reasons. Libra works toward a win-win outcome and really only feels a situation has been successful if both or all parties are happy with the outcome, they aim for a peaceful resolution to every situation. On the other hand, action orientated Aries will stop at nothing to win simply because they thrive on the challenge and if for no other reason than to prove they were right all along. For Libra, breeding and all things of a cultural nature are innate, it’s in the Libran zodiac DNA. Aries, on the other hand, are not that concerned about the ‘proper’ way to do anything #2013 they shoot from the hip! Yes, opposite scan attract, but there is a wide gap with these two. If they can recognize the gifts they provide each other this connection can be a winner, but it is not without understanding and compromise from both sides. This is an intense and electrifying connection, and often there is an instant connection between Aries and Scorpio. Both action oriented and movers and shakers in the world they recognize some of their own traits in each other. However, it can take a while for these two to let their guards down and trust each other enough to allow their hearts to entwine, but if they can let go and let love in this can be a union of deep love. The beginning of their relationship can be the most passionate and dynamic, but also the most difficult as the very bonding of this union demands they allow themselves to be vulnerable. No one is in control here; it is an equal match of energy and power. Although Scorpio will always try to presume the upper position of power, in truth they will only keep it if Aries allows them too. For Aries, there are few things worth digging their heels in about, as life is way too short for them to keep a grudge, unlike Scorpio who never forgets anything, ever! They each take responsibility for their own lives and have a healthy sense of keeping their individuality. They can also be very protective of each other, which builds a strong bond of caring and respect. Respect can be gained through total honesty and nothing less. If there is any hint of disloyalty the spell will be broken and if this is the case the show may not be over, there may be room for repair and resurrection, but Scorpio will ‘never’ forget. For Aries, there will be regret, but they will forgive. This is a deep heart-to-heart soul bond. When these two signs get together they are in love-heaven! Like two fire balls racing through life creating your own destinies, you both have a healthy enough opinion of self to allow the other to live life without having to constantly check if you are still all-ok with each other. You have similar values and interests in life, and so much going on individually it keeps you eternally interested in each other. Aries loves a challenge and Sagittarius has enough going on in their own life for Aries to know they are not going to be able to control the Archer. Aries also needs a passionate connection and as they are both fire signs there’s a magnetism, which automatically attracts and keeps their attention. Sagittarius on the other hand is worldlier in their vision and outlook and admires Aries ability to step out of their comfort zone and take a risk. Whilst you both strive to excel in every area of life, when you reconnect you are involved enough in the other person to reach out and help in any way you can. You are also both open to lend a helping hand to assist a needy cause. This combination may also enjoy an active life filled with travel and adventure as both pursue a chance to live life to the max. You are like two magnets who just can’t keep away from each other. There is a great deal of passion between these two signs, which will sustain a close bond. This and a desire to keep communication channels open ensure longevity. Both these signs have a great deal of ambition and dedication to their overall purpose in life and actively use all their energy to achieve their goals, both short and long term. The Ram and the Goat have a good understanding of each other’s need to be responsible and take charge of their individual lives. They are both able to put themselves first and foremost, as well as considering others. As they are both ambitious signs, and cardinal action oriented signs there is much to achieve and they are skilled at stepping forward to make their life materialize as they envisage. They are not afraid to initiate activity and are often looked upon as leaders in society and at their work place. Capricorn is all about business and as such is able to provide future security and a solid base, which allows them and the people close to them to feel connected and supported, while with Aries there is always something new happening so they keep life exciting and interesting. Aries helps to keep Capricorn from becoming staid and boring, and Capricorn provides Aries with a sense of belonging and someone whose word they can trust and count on. Each can learn a lot from the other. The ram lives for the excitement and challenge of life. The goat climbs the mountain of success to actualize their dreams. When they work together and reach the top of the mountain where they both agree the view is better, a peaceful existence can be achieved. This soul connection is quirky and adventurous, but it works. These two love anything that is new, interesting and exciting. They love adventure and the more challenging the better. Aquarians have an innate level of intuition, and are often thought of as the zodiac genius. They can outwit Aries, and the very fact that the Aquarian has an endless stream of wisdom, ideas and concepts, totally fascinates the Ram, and this is what keeps Aries interested. Aquarian loves people who are constantly on a quest to try something new and are not discouraged by life’s inevitable challenges, and are immediately attracted to the Aries adventurous spirit. For Aries, they love to be stretched on all levels, and Aquarian provides a good balance of fun and seriousness for Aries never to get bored. If it’s too easy for Aries, they will walk away without a backward glance, and this is not the case here, as the Aquarian provides plenty of occasions for Aries to step up to the challenge and step out of their comfort zone. There will be differences of opinion and heated arguments, you can count on that, but as long as neither of them takes it too personally, all will be fine. Aquarian is strategic in the way of trying to get his or her own way, and can come across cold, standoffish and dismissive. Aries can be sharp tongued, but neither is that sensitive they can’t overlook a few disagreements and the fact that Aries forgets quickly and doesn’t hold a grudge helps to reinstate harmony between them. Aries loves to get their point of view across and Aquarian lives to practice their skill of debating. When these two signs get together, their wild and expansive imaginations can conjure up all sorts of possibilities in life. This combination can dream up creative ways to do just about anything, and with Pisces’ forever optimistic view on life and Aries’ positive outlook, they fully believe whatever they create will manifest into reality, and believe the possibilities in life are endless. Pisceans are highly intuitive and dreamy, and Aries is confident about everything, which can be a great combination, but it can also lack the solidity of reality. Pisces is able to step aside and allow Aries to take center stage when they need to, which works well for the independent and sometimes headstrong Aries, but Pisces can at times be a little too nurturing and helpful, which can end up being way too smothering for Aries. This zodiac sun sign combination is destined for Heartbreak. The fish can harbor secrets, which can be very disturbing to the Ram. The Ram will know something is wrong but will not be sure what it is, so they are left with a feeling of uselessness of not being able to help and no clue as to what they should do to make it better. If it doesn’t work out, Pisces will feel bruised and heartbroken and won’t understand why Aries just does not get what they did or didn’t do that caused them to be so upset. Aries is left feeling confused, and will alternately put the association down to experience, and move forward vowing never to take a second look back. Aries will consider they have had a narrow escape and Pisces will retreat to heal themselves of what they feel to have been a brutal experience.